Having drip fed the line-up over recent weeks the organisers can now unveil its mighty fine showcase in full with some incredible additions joining the already huge array of acts set to play. 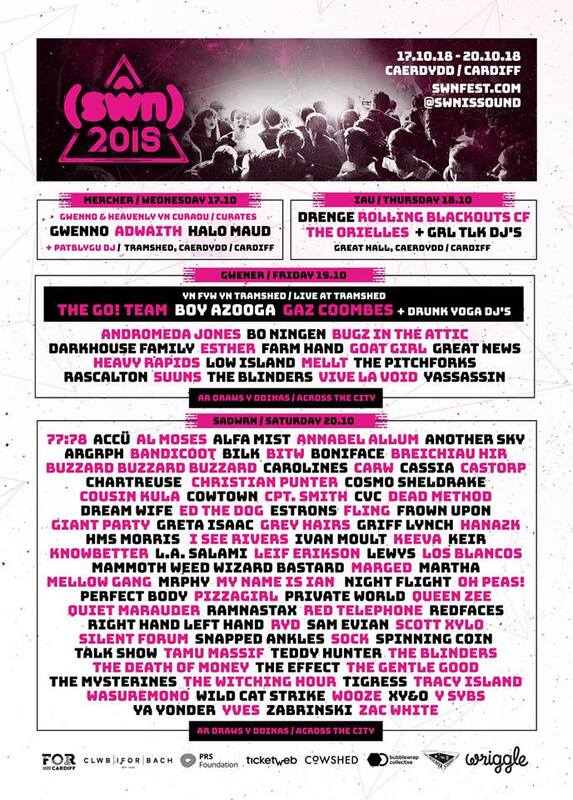 Amongst the 30 new acts set to perform along side Drenge, Gaz Coombes and Boy Azooga are The Orielles, Estrons, Darkhouse Family and Boniface amongst others. Check it out for yourselves below. Adam Williams, Live Manager at Clwb Ifor Bach who have taken over the reins for 2018 said: "We're over the moon to announce the final wave of artists for Swn Festival 2019. It's been 6 months since we were asked to take on running and booking the festival and we're super happy with what we've produced. Now all we have left is to deliver it! Sŵn Festival has been a vital part of the Cardiff music calendar for the last 12 years and it's been really exciting for us at Clwb to build on that success - we hope we've created something special and that people continue to enjoy this festival for many more years to come". The festival will take place over four days and 17 venues. The venues are Buffalo Bar, Clwb Ifor Bach, Fuel, Gwdihw Café Bar, Kongs, Nos Da, O’Neills, Off Track Café, The Big Top, The Blue Night Café, The Great Hall, The Moon, The Old Market Tavern, Tiny Rebel, Tramshed and Undertone.